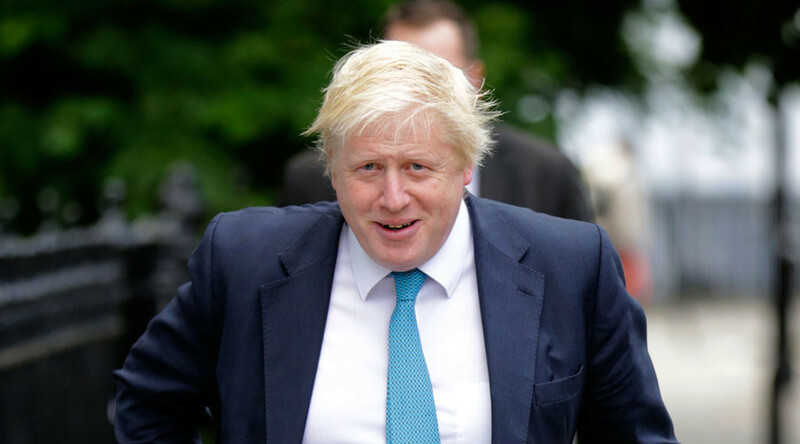 New British Prime Minister Theresa May has been slammed online for her decision to appoint former London Mayor and Leave campaigner Boris Johnson as foreign secretary. Many online suggested the decision by May brought a swift end to a brief period of new hope for the UK, including former Tony Blair aide Alastair Campbell who tweeted: “She started so well, so serious. Then made Boris Johnson Foreign Secretary. Oh dear”. I’ll always look back upon the 2hrs between Theresa May’s speech & the news that Boris Johnson would be her foreign secretary with fondness. Just informed two German diplomat friends of Boris Johnson's appointment. Both thought I was joking. Johnson’s always-colorful antics left the internet with plenty of good material to make light of an appointment some felt was close to parody. Many expressed bafflement over how a man who once described Africans as having “watermelon smiles” and Vladimir Putin as “looking a bit like Dobby the House Elf” could be appointed to a role where diplomacy will be a key skill. Boris Johnson is foreign secretary. So pleased our new Prime Minister has a sense of humour. Congrats to my friend @BorisJohnson on his big new job - looking forward to working with him on climate, health, and other issues. For the most part though, supporters of Johnson have been quiet online, possibly in fear of retaliation from singer Cher who reacted passionately to the news of his appointment.